The Democrats’ Green New Deal report starts with some scary numbers which are meant to justify government spending on a scale we’ve never seen. This plan could cost many tens of trillions of dollars over the next ten years. Replacing all nuclear (which don’t release greenhouse gases) and fossil-fuel based power plants with “clean, renewable, and zero-emission energy sources" may itself cost well over $10 trillion. Others put the costs even much higher. Upgrading or replacing every building in the US to achieve state-of-the-art energy efficiency would be incalculably expensive. The value of built assets in the United States is around $37 trillion. On top of that, the plan requires massive expenditures to overhaul our ground and air transportation infrastructure. Supposedly, the push for a clean economy “will require”: public ownership of much of the economy, government-run healthcare, "family sustainable" wages, “family farming,” paid family leave, unionization of workers, and "affordable" housing. Global warming seems to justify every program that Democrats have ever wanted. Democratic presidential candidates Kamala Harris, Cory Booker, Elizabeth Warren, and Kirsten Gillibrand have been falling over themselves to quickly endorse the proposal. Many Democrats fought back against claims that the proposals are impractical. “I think it’s absolutely realistic,” Senator Chris Murphy told CNN’s State of the Union on Sunday. A few years ago, an article in the journal "Nature Climate Change” assessed 117 climate predictions from the 1990s and found that only three had been accurate. The other 114 studies all overestimated the amount of warming, with predictions averaging twice the actual increase. The Green New Deal relies on the highest estimated temperature predictions and most extreme estimated dollar costs from global warming, but doesn’t even cite them correctly. The proposed changes will cost many times more than any possible economic gains. -- The cost in lost annual economic output in the United States could be more than $500 billion annually by the year 2100. This number is pulled from last fall’s congressionally-mandated Fourth National Climate Assessment. It is the U.S. Global Change Research Program’s (USGCRP) most extreme estimate, which assumes that temperatures will rise by 8 degrees Celsius (14.4 Fahrenheit) by 2100. The Democrats’ Green New Deal proposal claims that warming is already at least 2 degrees Celsius (3.6 Fahrenheit) above pre-industrialized levels. The USGCRP bases its claims on a report which anticipates much smaller GDP loss in the event of more mild warming. If temperatures rise by 2 degrees Celsius instead of 8 degrees, the loss in GDP would only be about one-fourth as large. Instead of $500 billion, the annual predicted cost would be about $125 billion. That is still a lot of money, but it’s not really as much as it sounds. One billion dollars 80 years from now is worth a lot less than a billion dollars today. The point is simple enough. You wouldn’t give me $5 today for $5 10 years from now, and certainly not for $5 in 2100. With an interest rate of just 2% above inflation, $99 million in the bank today will be worth $500 billion in 2100. $25 million will get you $125 billion. But numbers such as $25 million or $99 million don’t generate the same alarm that $500 billion does. -- Another gigantic number in the report is “risk of damage to $1,000,000,000,000 of public infrastructure and coastal real estate in the United States.” A trillion dollars is a lot of money, but a “risk” is hardly certain. Even with the most extreme temperature estimates, what damage might occur is many decades away. 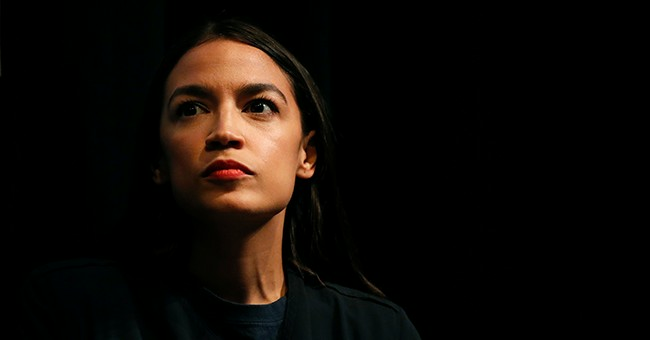 Rep. Alexandria Ocasio-Cortez (D-NY), who sponsored the Green New Deal, claims, "The world is going to end in 12 years if we don't address climate change.” But Cortez’s cost estimates are for 80 years from now, belying her own apocalyptic hyperbole. We have only fairly recently emerged from the Little Ice Age, which existed from approximately 1300 to 1870. A few degrees increase from this cold baseline hardly seems catastrophic. If Democrats even partially get their way, we will be leaving a much, much poorer country to our children.